Home Big Opinions What is Wrong in Australia? A series loss to England in 2016, followed by losses to Ireland and England again at the end of that year. Losing to Scotland twice and England once again in 2017. A series loss to Ireland at home in 2018. No Bledisloe Cup for 16 years. In 2016 the Wallabies played 15 games, won six and lost nine, including one to the truly woeful Springboks of that year. In 2017 they played 14 Tests, lost 5, drew 2, and won 7, with those victories including two against Fiji and one each over Japan and Italy. The two draws were again with the Coetzee era South Africans. Whilst Test matches still draw crowds, the rest of the rugby on offer in Australia is played in empty stadiums, television viewership numbers are dropping through the basement, and interest is waning at every level. There is something wrong in Australian rugby. Something that runs much deeper than simply losing a couple of games. To start with, Rugby Union is well outside Australia’s top 20 most popular sports. The game is relegated to a couple of column inches on the eighth page of the newspapers’ sport sections. This immediately suggests that rugby has to work so much harder to attract fans and build it’s player base. In a country like New Zealand the rugby culture is all pervasive, it permeates every segment of society. The interest in the game starts at the very lowest levels, almost all junior schools play the game, and that participation continues right up through the age groups and into senior ranks. Parental interest, the local team and club structures, and community loyalties all contribute to the importance of rugby in New Zealand. In Australia things are a little different. With rugby right near the bottom of the sports totem pole, there are plenty of other sports for budding Folaus, Beales and Pococks to choose from. When we think about rugby as a participatory sport, however, we must add that it has always been a somewhat exclusive minority sport. Even in England, the country where the game was invented, rugby does not make the list of the Top 15 Sports activities, according to the House of Commons Library Briefing paper of December 2017. English Rugby lags behind such sports as Boxing, Rowing, Tennis, Badminton and even Mountaineering. However, comparing England to Australia is not comparing like with like. Australians are a sports-mad people, the English are not. Whichever figure you choose to believe, there has been a huge slump in support at the top end of Australian rugby. Australian Rugby has been one of the strongest of the participating teams in world rugby, the Wallabies have been competitive, innovative, and exciting to watch for the last 30 years or so. When Super Rugby kicked off, the Australians were immediately competitive, providing both innovation and excitement, as well as raucous crowds and huge television interest. Somewhere, something has gone wrong. The performance of Australian rugby teams generally has been one of dropping standards, increasingly uncompetitive, and a reduction in the sublime skill levels of the past. At the same time there have been ongoing reports of internal domestic squabbling, political power plays, and management incompetence. And when a team fails to perform, it does not take long for the modern audience to drain away. Seats in the stands are empty, and television viewers start watching gardening programmes. What has caused the Australian teams to lose their competitive edge? Why have things gone wrong? It’s easy to point fingers at the coaches or the Australian Rugby Union management for the decline, but if they don’t have the player resources to do the job, the problem has to be rooted somewhere else. Firstly, it is apparent that Australian Rugby have seriously neglected the grass roots of the game. In June 2017 Peter Fitzsimons wrote that Australia are paying for neglecting those very grassroots. He pointed out that Australia were happy to pay David Pocock a massive A$750 000 to take a year out of playing the game. They paid him to have a sabbatical from the game, yet they could not find the budget to employ some new development officers! He lamented that AR were pouring money into the professional game, yet the grassroots were being allowed to wither. They recruited Rugby League players with enormous monetary incentives to change codes, kept them for a year or two, and then saw them wander back across to rugby league. Money did not buy their loyalty. Huge mounts are spent on key players, with the likes of Israel Folau, Kurtley Beale, and David Pocock collectively earning more than is spent on recruiting and paying development officers across the country. The Rugby Union Players Association demands bigger and bigger pay packets for the existing players, at a time when money is already tight, and less and less is spent at the other end of the scale. An additional problem occurs when the lion’s share of the money is spent on a privileged few, the lesser lights begin to look for their paycheque somewhere else. Some abandon the game and do something else. Others abandon the country and go and play the game somewhere else. Rugby in Australia has become top-heavy in almost every respect, and the roots, the foundations are crumbling from neglect. On the 1st July 2018 Steve Stannard wrote in New Zealand’s Stuff that one of the biggest Aussie problems is that grassroots rugby in Australia is a Saturday afternoon winter commitment in middle-class Sydney and Brisbane, with a lesser contribution from the other cities. He says “Kids have changed over the years, culturally and physically. They are more likely to play hockey and table tennis than in years gone by. He suggests that the biggest problem facing Australian Rugby has been the fundamental changes that have happened in the lifestyles of the Aussie youth. He may be correct in his suggestion that Australians have changed. They are no longer producing the robust Crocodile Dundees of the past, and that is hurting Aussie rugby. However, I do believe that the problem is a much bigger one than simply a neglect of the grassroots of the game or a change in the physical activity patterns of Aussie youth. 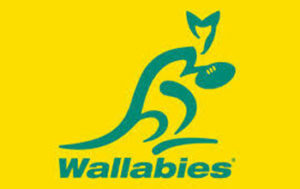 I believe that the woes of Australian Rugby is simply a snapshot of what faces World Rugby. Rugby has become an over-complicated mess of a game. The Laws and the regulations that govern the game have reached a point of turgidity, where there are so many things a player may not do that the game has been neutered and rendered static. The problem is compounded as referees have become the dominant figures on the field of play. They have become more important than the game they are supposed to manage. They slow the game down with their constant meddling in the scrums, lineouts and breakdowns. They slow it even further with constant referrals to their assistants and the TMO. The referee decides who, what, where, when, why, how and how much. The pedantic application of the overly complex set of laws, together with the referee’s own interpretations and, often, his own “home-made” laws has made the game a mystery to both players and the fans on the sidelines. This situation is not helped by a host of incompetent television commentators who have a partial understanding of the laws at best but will pontificate at length about every interpretation and decision, often completely wrong in their own interpretation. It also does not help when they add a heathy dose of jingoism. An additional blight on the game has been the increasing interventions by the Television Match Officials, often with little regard for the visual evidence broadcast to the watching world! When even a mildly knowledgeable viewer can hear and see the TMO get it wrong, the game is in trouble! And those constant referrals are slowing the game down time and time again. Then there is the constant stream of yellow cards being issued for the most innocuous of offences, often with little thought for the game itself; cards that result in close games being turned into mismatches. Rugby is slowly strangling itself to death. When a professional player struggles to understand what a referee is saying, and a spectator who is well versed in the laws and regulations cannot understand it either, what hope is there that a social spectator will understand the game? The Laws, the Regulations, and the Officiating are in a mess. Small wonder then that the fans and many players are abandoning the game? Another factor that leads to the demise of the game in Australia, a factor that has a similar impact elsewhere in the Southern Hemisphere, is the continual poaching of players by the wealthier clubs of the Northern Hemisphere. If the stars of the game are being sucked away from local competitions, what future is there for the game and for spectators. Australia has a couple of uniquely Australian problems too. Rugby’s perception in Australia continues to be that it is the domain of the middle and upper classes, with its supporters known as scarf-wearing “rah rahs”. The constant barrage of reports about misbehaving rugby players, and their somewhat “privileged” antics tends to create and support the impression of arrogance and exclusivity. The public misbehaviour of players needs to be sorted out. The constant stream of reports about the drug habits of Karmichael Hunt and James Slipper, the misbehaviour of a James O’Connor, Nick Phipps, or a Quade Cooper, the insubordination of a Kurtley Beale, or the divisive pronouncements of an Israel Folau hurt the image of the game. Player and union power and threats of strikes simply adds to the problem. There is a perception that the tail is wagging the dog! If Australian Rugby wants to build a bigger audience and player base, it needs to work on its image and marketing. When Wallaby and Waratah captain Michael Hooper pitched up for the media conference called for the revealing of the four Super franchises’ 2018 playing strip, he arrived in thongs, shorts and a tee-shirt, and forgot to bring the bag containing the Waratahs’ new strip! He also forgot to bring his own boots! The other three captains arrived formally attired in blazers and ties, and brought their respective clubs’ strip with them. Somebody had to be sent out to buy a Waratah jersey at a local sports supplier, or the media event would have fizzled. Hooper made no apology and treated the whole matter as a bit of a joke. It was a message of disrespect. And that is exactly the image of Aussie Rugby that they should be trying to change. The public react to what they see, and right now some serious image repair is required. Australia needs to demand better from the Wallabies and the Super Rugby franchises. Rugby won’t attract fresh sponsors and new fans until rugby fixes its image! Another issue that needs to be addressed is the very public and sometimes vocal squabbling amongst the upper echelons of the blazer wearing administrators. The whole Western Force debacle added to the perception of a sport at odds with itself, and then there were the public spats between administrators at the Brumbies, or the in-fighting at the national level. Would you want to spend your advertising dollars on a sport that seems intent on civil war? The world needs to tackle the problem of a bloated and unwieldy set of laws and regulations together with increasingly maverick match officials. Australia has to address a whole lot of other issues too! Of course, it would help if they achieved better results on the field. 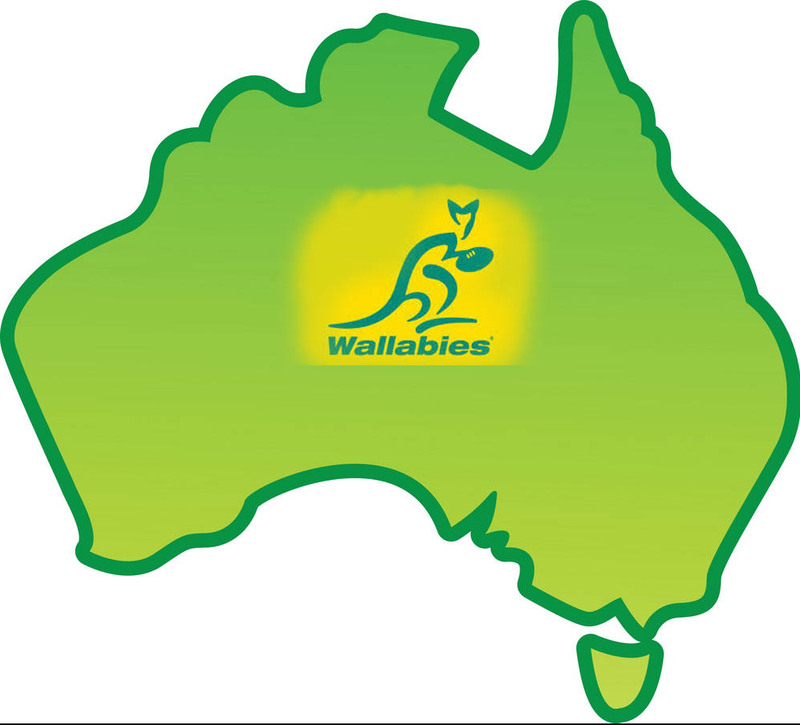 World Rugby needs a strong Australia, Southern Hemisphere Rugby needs a strong Australia, rugby fans want a strong Australia! Previous articleConrad does a Ronan. Conrad Smith Starts Coaching Job. Completely agree with this analysis which in many ways is similar to our sport scenario. I have family in Melbourne who tell me that rugby union is becoming more popular but in that region they have 10 Aussie Rules teams and then the league teams and so many other sports. Of course cricket is an all-year game so the opportunity for a lot of players to play both is now a thing of the amateur past. South Africa is blighted by a lack of real understanding of sport culture and its very ethos. Right from Sport Minister down to club level, sport is governed by politicians. One has to be careful in the use of language and political correctness trumps skill, ability or knowledge. Understanding the importance of sport to children is vital to its application. Both leadership and team-participation skills are learned on the sportsfield, not the classroom. Then again the range of sports is vital to development. Athletics is the base of all sports. Running fast or far, throwing long or heavy, jumping high or long are all conducive to the development of skills needed in other sports. Early recognition of skills and attitude are also important and a talent scout is as important as a good coach. Sport science is hugely developed in all of the major countries probably no more so than in the USA. We need people to properly study sport and take all of its aspects far more seriously. It is too late to address the importance of sport at the level of the professional. Superb, this article made me subscribe to your blog. Actually, I’m from Romania and I’ve discovered your site by googling for “south african rugby blogs” in an attempt to further my knowledge about the sport in the southern hemisphere. Little did I knew I’ll find a place with infos about more than SA. As for the laws of rugby…offside at the ruck by Eddie Jones comes to mind. Actually, what is a ruck nowadays? Welcome Andrei, I hope the website provides you with something interest.